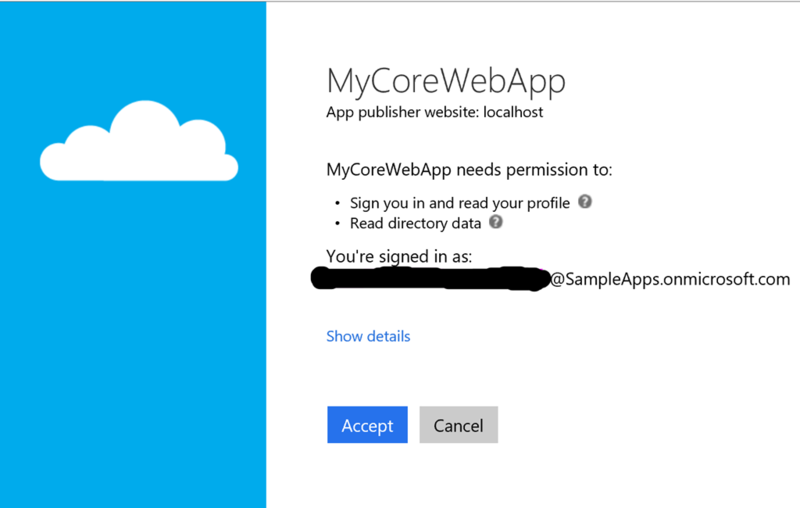 Now that the imminent release of ASP.NET Core is here I felt that it was time for me to check out once again how everything has been integrated specially with regards to Azure AD . If you have been following the history behind ASP.NET Core by now you have seen how much it has evolved from the initial concept to the final 1.0 release. 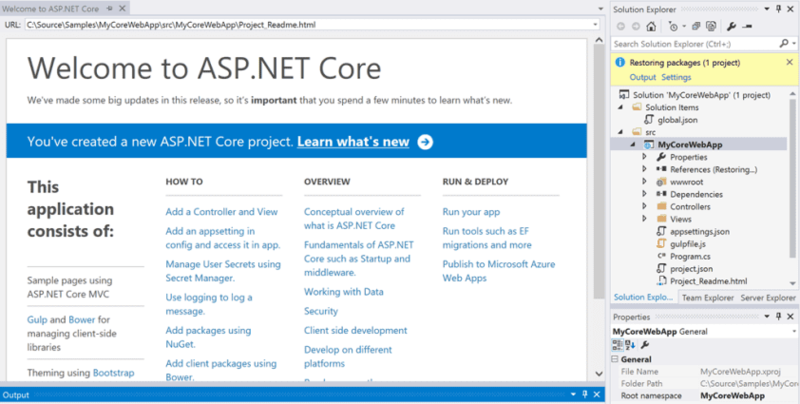 If you would like to get a sweet and short overview of the new ASP.NET Core & .NET Core framework I recommend you read Rick Strahl’s blog post on this subject, he does an excellent job presenting this information. And for more in depth knowledge on all new things .NET related, head over to Channel 9 and check out the 2016 dotnetConf. Please note that the actual RTM for ASP.NET Core is releasing in a few days, so if you are reading this later on next week your mileage will vary, however, I will update this post if the final 1.0 version differs greatly from the RC2 regarding the Azure AD templates. 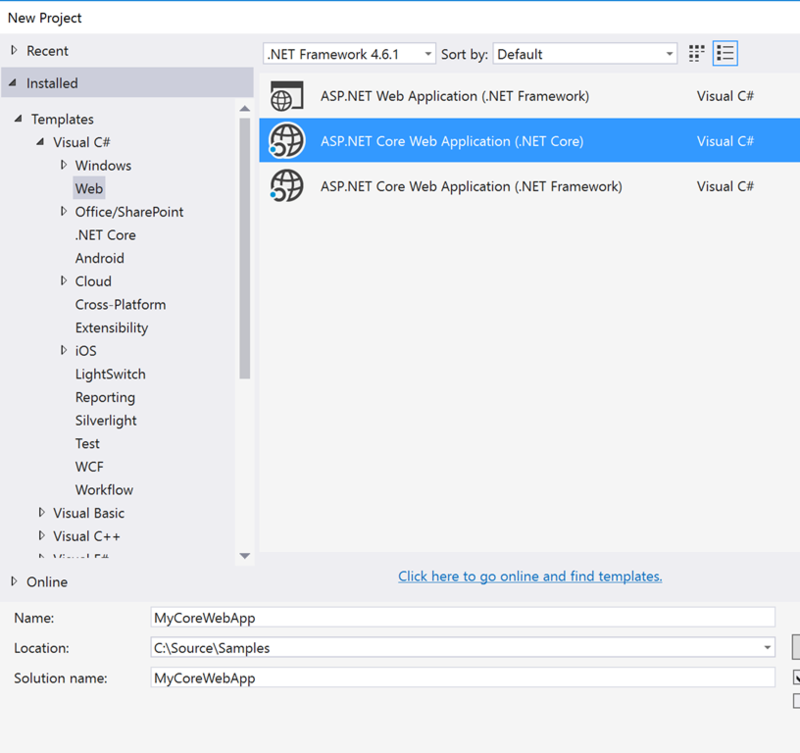 Here I am simply going to create a new ASP.NET Core Application and compare it to a non-authenticated ASP.NET Core Application. I am going to assume that you already have an Azure AD setup, since the Visual Studio templates I will use will assume that an Azure AD tenant already exists. 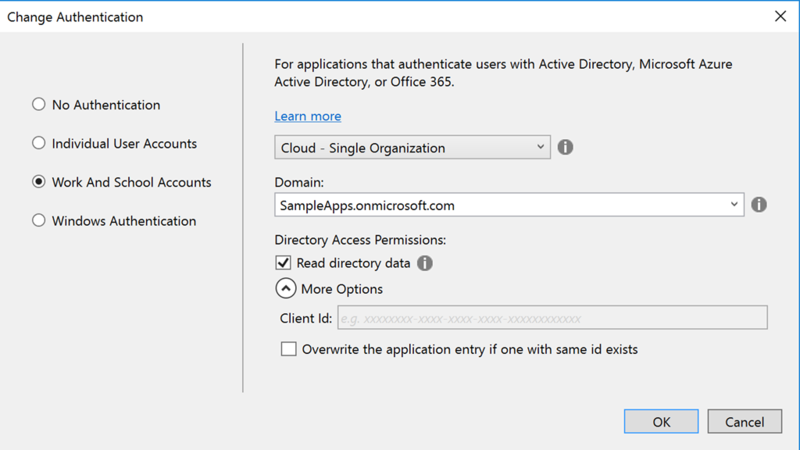 Then click on the Change Authentication button and select Work and School Accounts and choose the Cloud – Single Organization and set the Domain input to the Azure AD tenant that you want your application authentication/authorization connected to. You can also choose to enable Read directory data if you want to query the Graph API, but it is not necessary to just connect your application to your Azure AD tenant and we will not be doing any queries for now, so it’s up to you. 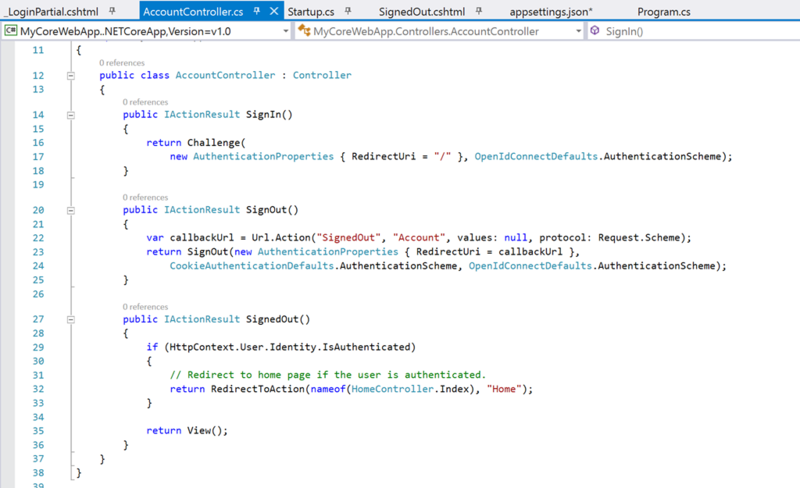 Once all those inputs are set, you are ready to launch, press OK to close the Change Authentication window and then press OK on the current template creation wizard to launch your brand new Azure AD Authenticated ASP.NET Core App! 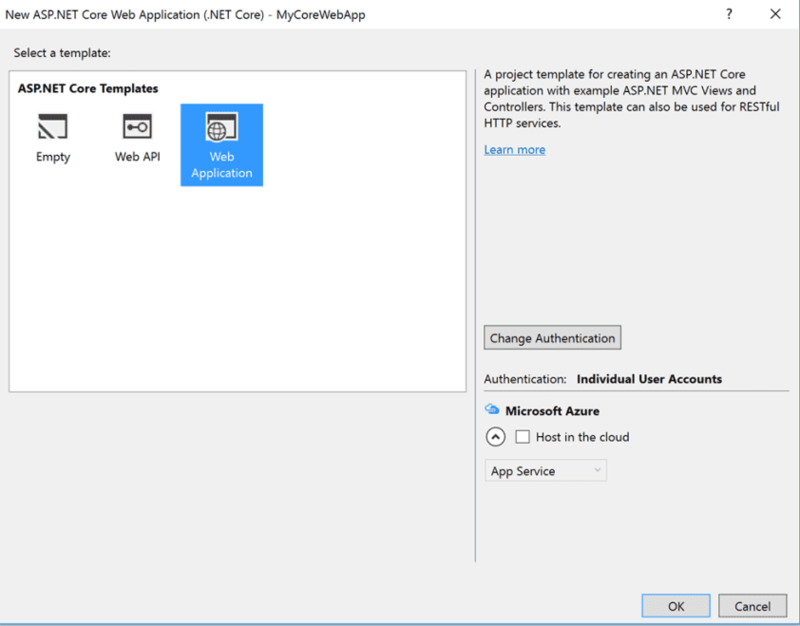 Visual Studio and the ASP.NET Core tooling take care of configuring the Azure AD tenant information into your application and properly configuring Azure AD to bind an Azure AD Client ID to your application. All of this happens by the ‘magic’ of Visual Studio, but what is really going on under the hood? Now you can look at the differences between both projects and see what the ‘magic’ created for you. I am using a WinMerge here to look at the differences between folders, so open up your favorite diff tool and dive in. The future for ASP.NET Core and the new .NET Core framework looks very promising. And the integration with Azure AD out of the box is very nice and lightweight for a starter project. Microsoft anticipates many more additions to the .NET Core family, in terms of capabilities, and I am looking forward to seeing how this brave new world of open source .NET Core plays out. 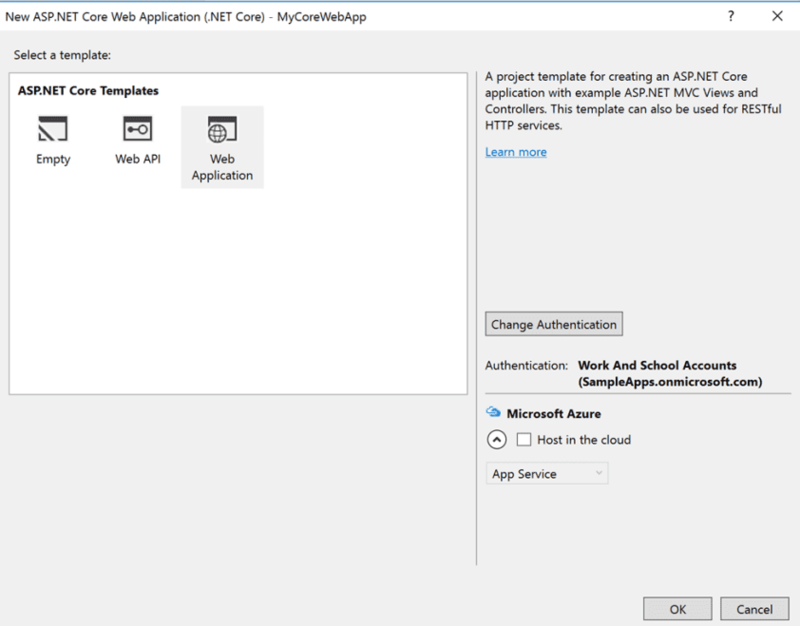 In upcoming posts I will be diving more into the integration of Azure AD and ASP.NET Core from a Web API/Client perspective. 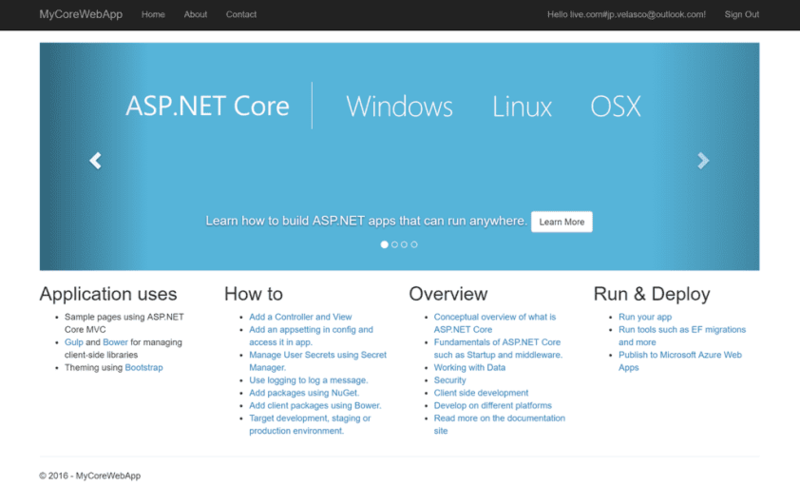 I look forward to you joining me in this journey of discovery and into the new and uncharted territory of ASP.NET Core. Until next time, happy discovery!